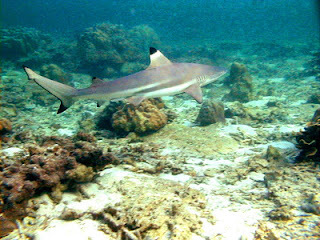 Shark Point is part of a Marine Sanctuary and is justifiably the most popular of the local dive sites. 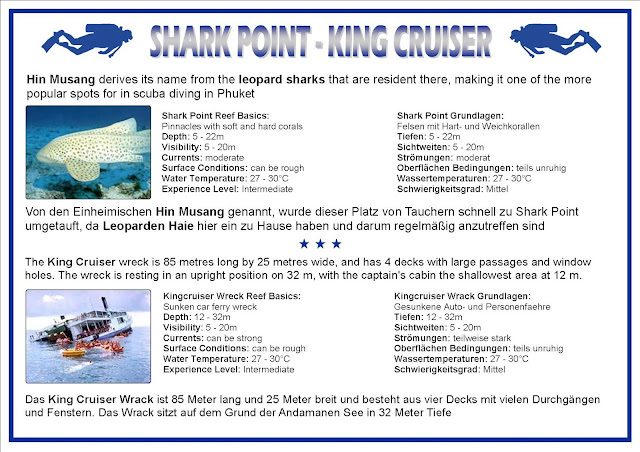 Named after the docile Leopard Sharks that are often encountered resting on the sandy seafloor here. 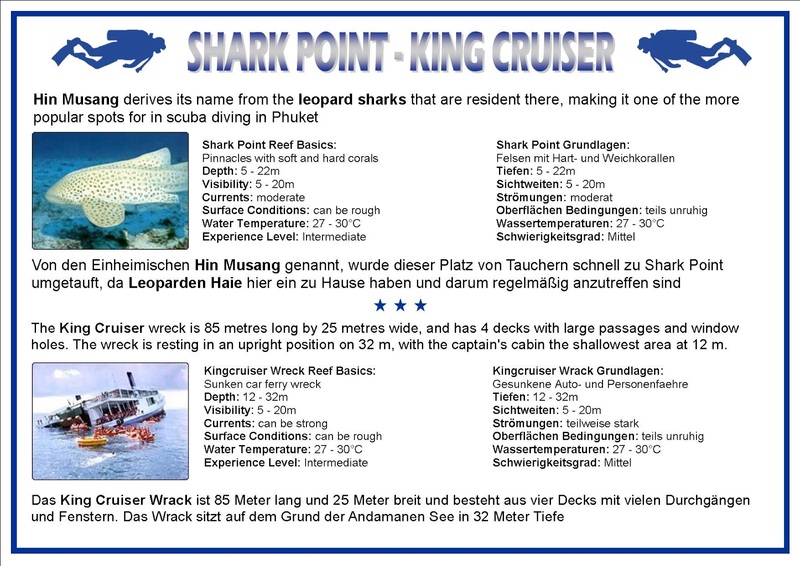 The official Thai name for this site is Hin Musang or 'Shark Rock'. 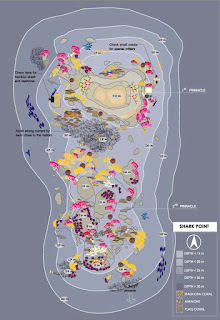 Approaching from the sea Shark Point appears as a tiny rock outcropping of no particular interest but beneath the surface lies a vast multicolored reef teeming with marine life. The main attraction here, in addition to sharks and vast schools of tropical fish are the colorful soft corals and sea fans that decorate this huge limestone pinnacle. 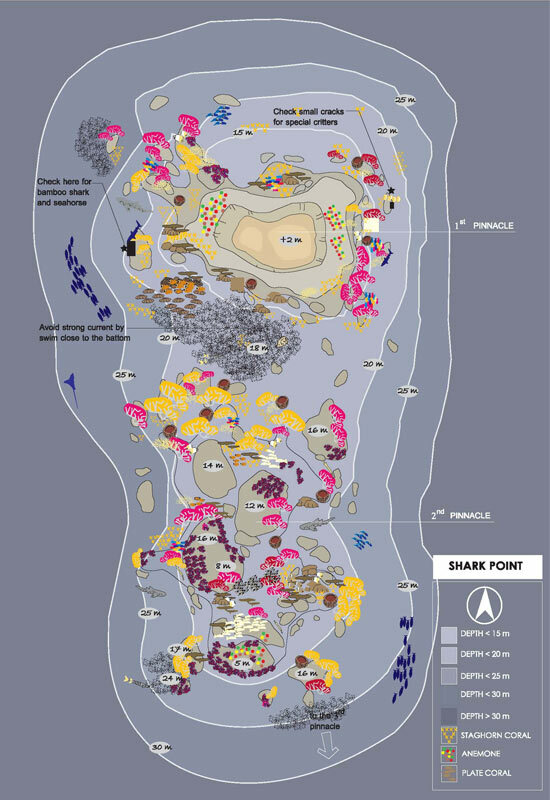 The reef can be broken into three main sections and most divers could spend several days at least exploring the many interesting facets of the site which is arguably the most popular of all the local day-iving sites. Currents can be brisk at this site but they tend run parallel to the reef sections and allow for an excellent drift dive back to the dive boat.